Harrison Jacobs/Business InsiderThe Intrepid now rests at Pier 86 in New York City. 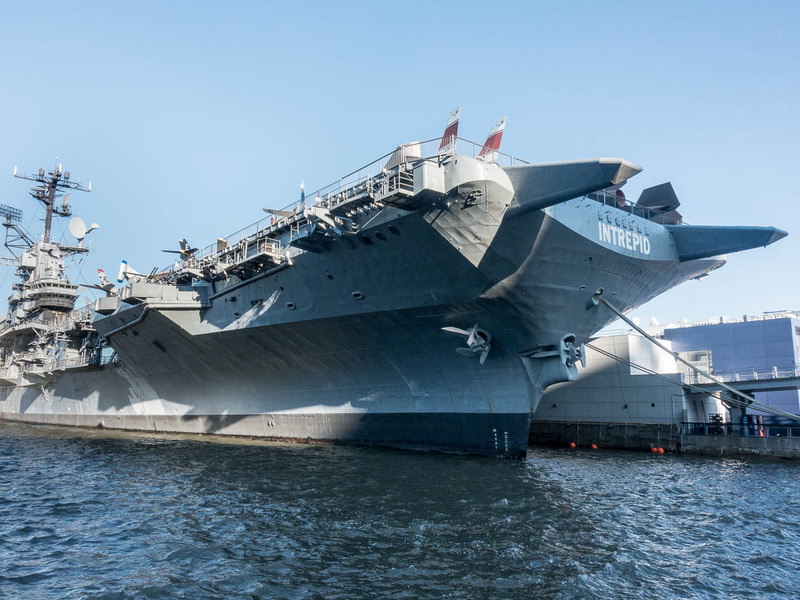 The USS Intrepid is one of the US Navy’s most historic vessels, having participated in tons of important missions over its 30 year history. The ship has resided in New York City since the 1980s and is now the Intrepid Sea, Air, and Space Museum. The ship survived four kamikaze attacks and a torpedo attack during World War II and even served as a lead recovery ship for NASA. 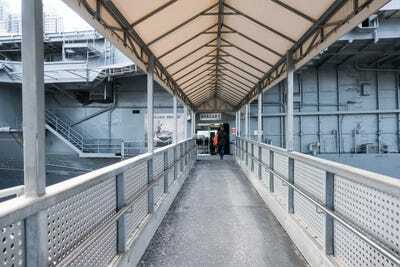 The USS Intrepid is kind of like the US Navy’s Forrest Gump – it’s been everywhere. 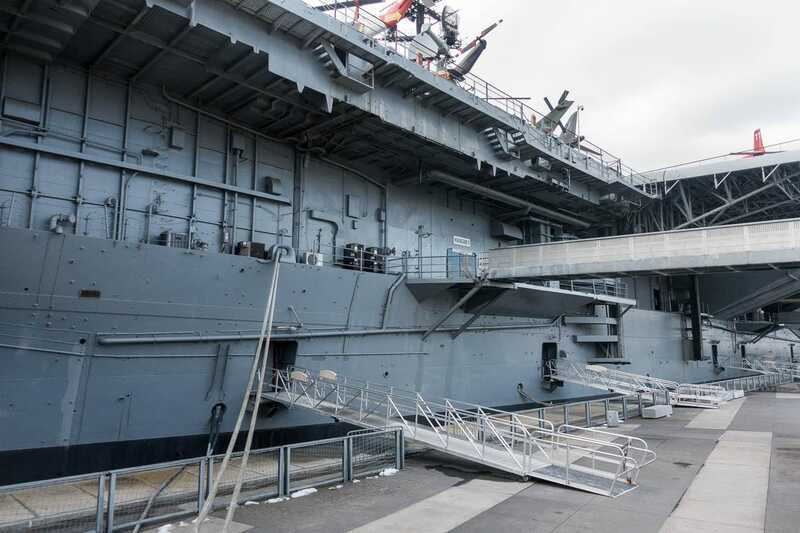 Commissioned in 1943, the Intrepid was one of 24 Essex-class aircraft carriers built during World War II. 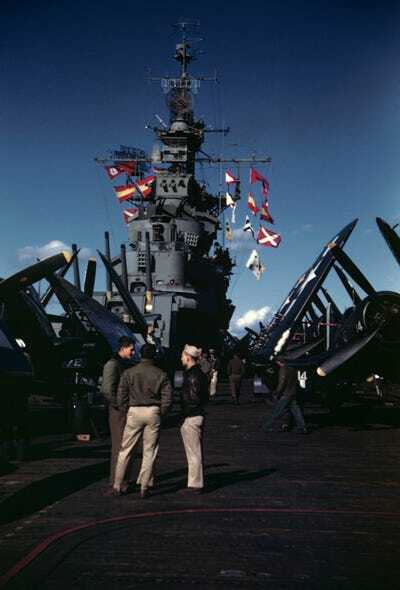 Known as “the Fighting I” for its extensive combat history, the ship participated in numerous campaigns in the Pacific Theatre during World War II. Its most famous battle was the Battle of Leyte Gulf, considered to be the largest naval battle of the war, and possibly the largest naval battle in history. In the 1960s, the Intrepid became the principal ship in the recovery efforts for the Mercury and Gemini space missions, before returning to its fighting mission during the Vietnam War. It was decommissioned for the final time in 1974. Over the course of its service, the ship was hit by four Japanese kamikaze planes – suicidal planes loaded with fuel and explosives – and even torpedoed once. None were able to stop the ship. 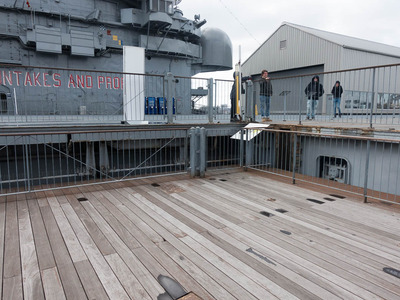 Today, the Intrepid rests in the harbour in New York City after real estate developers Zachary and Larry Fisher campaigned to save the ship. In 1982, it became the Intrepid Sea, Air, and Space Museum. 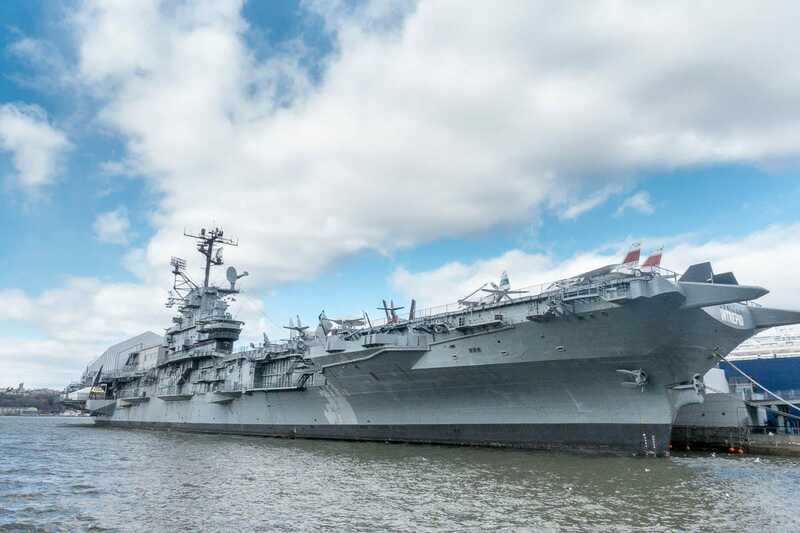 Launched in 1943 and decommissioned in 1974, the Intrepid now rests at Pier 86 in New York City. At 872 feet long, it’s an imposing ship. While it was in service, the Intrepid typically had 3,000 personnel on board. That pales in comparison to today’s carriers which typically have double that. 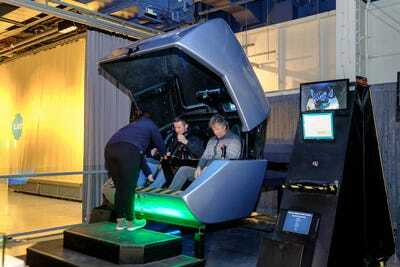 You enter the ship through the hangar deck. The Intrepid Museum was established by real estate developers Zachary and Larry Fisher. Zachary had wanted to serve in World War II, but was unable due to an injury. He spent the rest of his life giving back to the military in various ways, Jessica Williams, Intrepid’s curator of history, told Business Insider. The Intrepid first entered combat in early 1944 in the Pacific Theatre. It was involved in numerous battles until the end of the war. 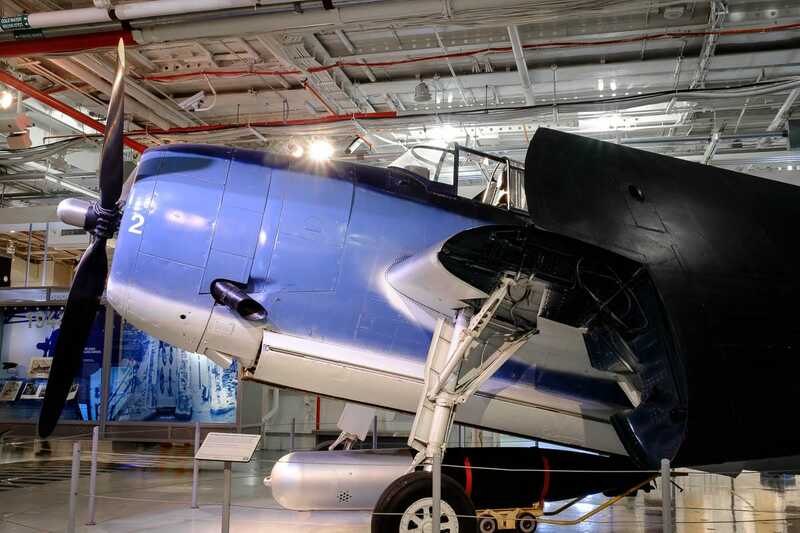 During World War II, it typically had around 90 planes on board. 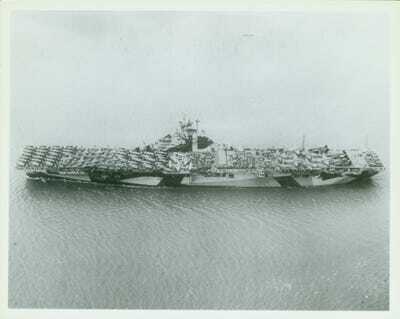 Collection of the Intrepid Sea, Air & Space Museum.Aerial view of the USS Intrepid in dazzle paint, June 9, 1944. Dazzle paint was a form of disruptive camouflage which makes it difficult to see the outline of an object. 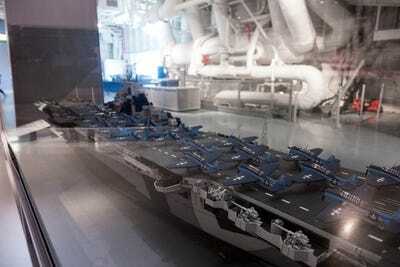 The hangar deck has been outfitted as the main exhibition space for the museum. It is filled with history, both of the ship and the Navy. 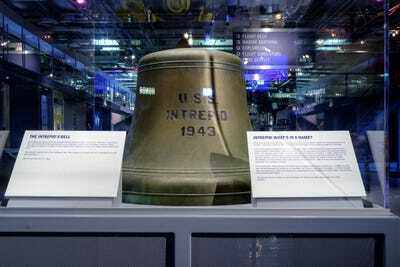 This is the ship’s original bell, which was used to mark the crew’s “watches” or shifts. Collection of the Intrepid Sea, Air & Space Museum.On November 25, 1944 the USS Intrepid was hit by two kamikaze attacks. 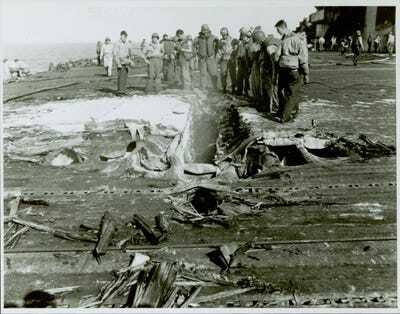 Once the fires were under control, sailors were able to examine the damage. The Intrepid was built with a wooden flight deck because it allowed the ship to carry more planes and have better manoeuvrability. But the design decision didn’t count on kamikazes. “They weren’t expecting aeroplanes laden with gas crashing through,” said Williams. 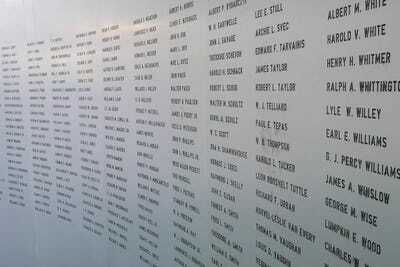 The Intrepid sustained 270 casualties while in service. 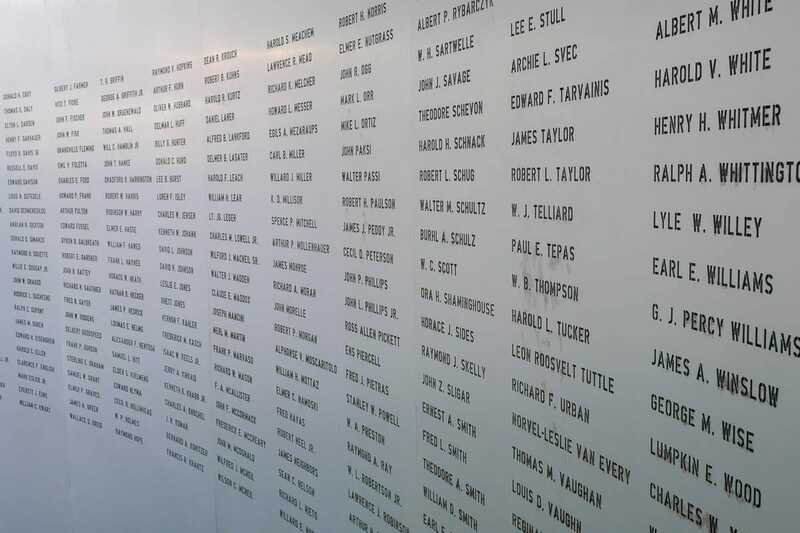 All are commemorated on this memorial wall. The most deadly day in Intrepid history came on November 25, 1944, when two kamikaze aircraft struck the ship. 69 crew members were lost. During World War II, crewmen helped planes land on deck by waving coloured paddles. 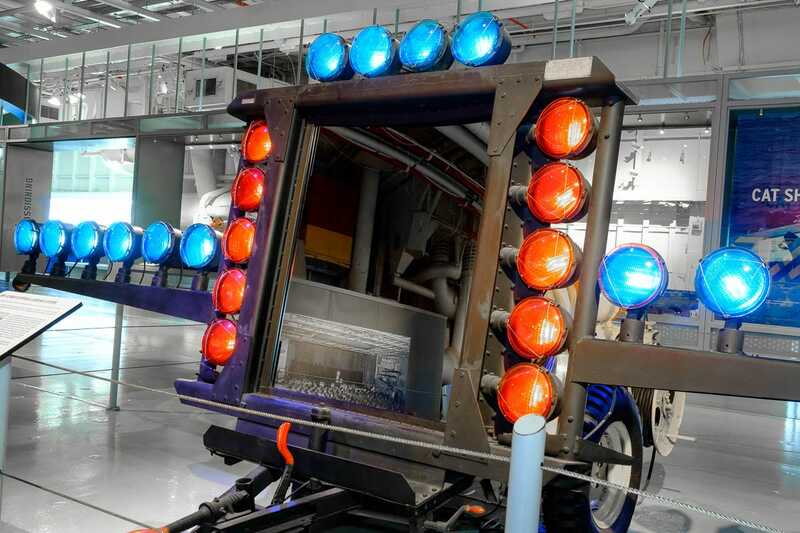 In the post-WWII jet age, they began using this device, nicknamed “the meatball,” due to the ball of light on the mirror that would help them determine their landing path. 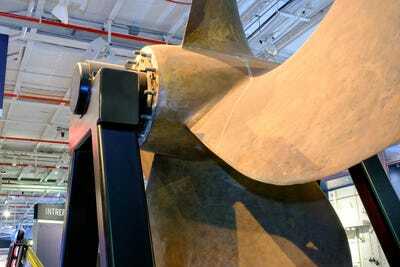 This is one of the Intrepid’s four propellers. The Intrepid was capable of reaching a maximum speed of 32 knots, or about 37 miles per hour, similar to today’s Nimitz class of carriers. During wartime, the ship operated under “blackout” conditions at night. The crew would block all openings so no light leaked out. They used these “light locks” to move in and out of the ship. The door was covered with heavy black cloth. 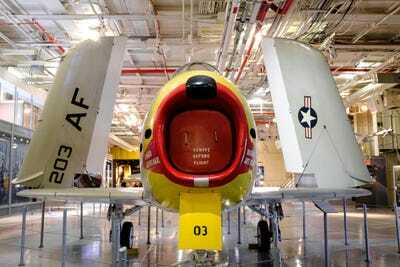 When planes weren’t getting ready to take off, they were housed on the hangar deck, which was like a massive garage. 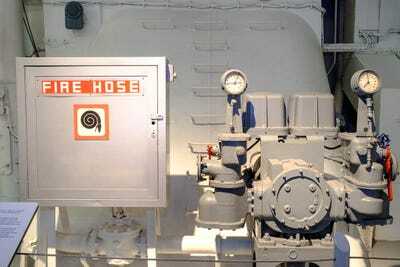 Aircraft were fuelled from one of eight stations like this one. There are still plenty of aircraft hanging out on the hangar deck. The Grumman/Eastern Aircraft TBM-3E Avenger was used extensively during WWII. President George H.W. Bush flew the craft during the war. 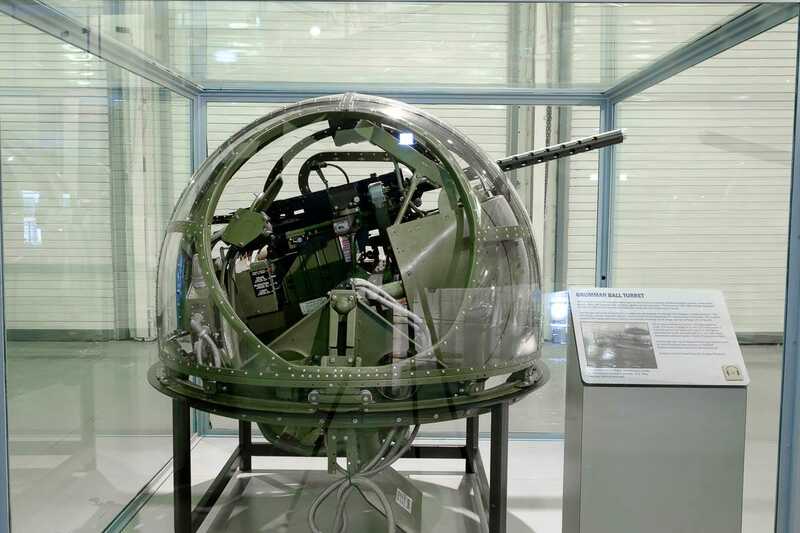 The Avenger aircraft was the first to use this Grumman ball turret, which can transverse 360 degrees in either direction and is powered electrically. After World War II, the US moved to jets like the North American FJ-3 Fury. 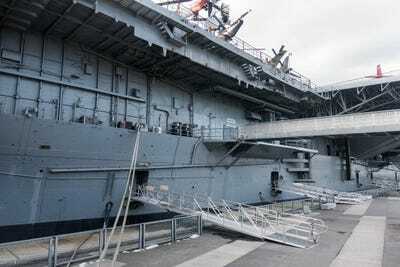 The Intrepid underwent significant modernizations in the 1950s to add steam catapults that could launch jets like the Fury. If you had to get out of a U.S. Navy fighter jet in a hurry, this Martin-Baker Mark V ejection seat was what you would be using in the ’50s and ’60s. To eject, the pilot pulled rings above his or her head. 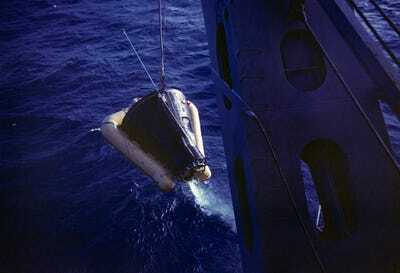 In the 1960s, the Intrepid became the lead recovery vessel for the Mercury Atlas-7 and Gemini 3 space missions. 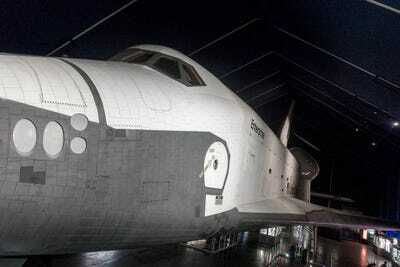 Intrepid crewmen felt immense pride to rescue the astronauts, according to Williams. Collection of the Intrepid Sea, Air & Space Museum; Gift of Seaman W. Faulhaber.On March 23, 1965, the USS Intrepid served as the recovery vessel for the Gemini III mission with Gus Grissom and John Young. In this image the capsule is being lifted onto the ship. When the ship’s helicopter returned with the astronauts, crewmen waited on the deck to watch. “There was this sense of it being a transformative moment,” Williams said. 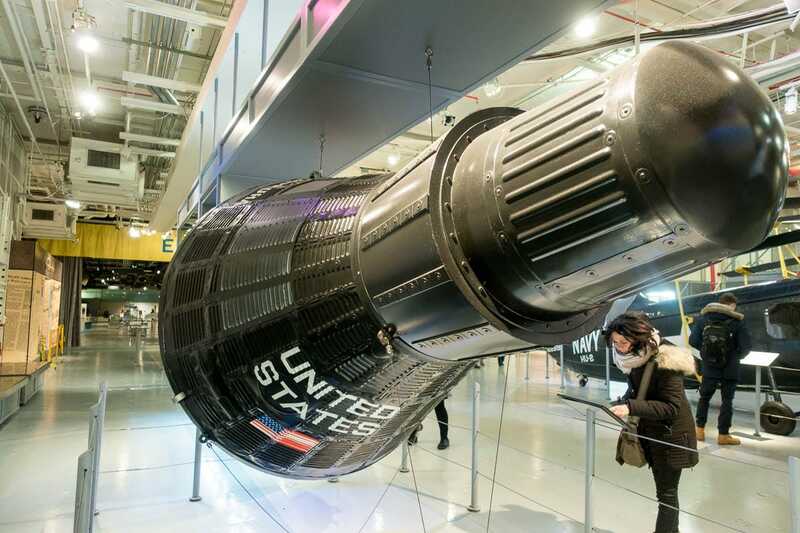 This is a replica of the Mercury capsule. If all the planes have you amped up enough, the Intrepid has the G-Force Encounter simulator so you can try your hand at flying a jet. As a kid, this was my favourite part of the museum (of course). 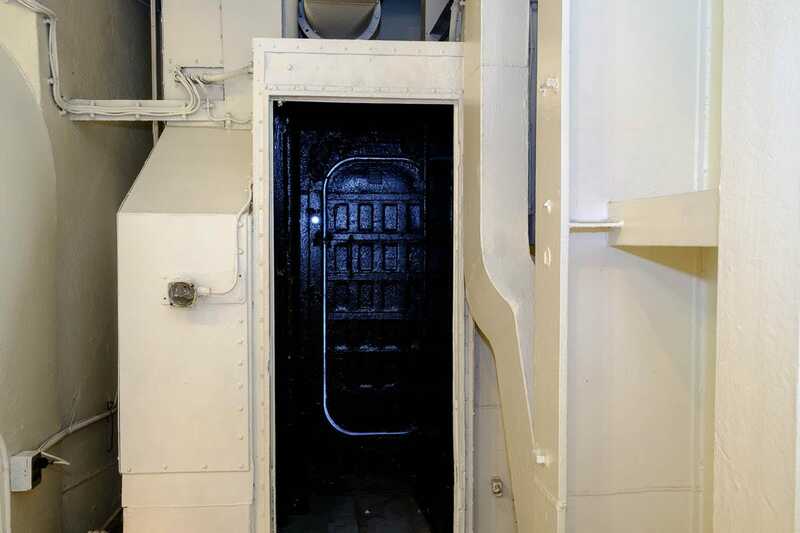 Crewmen used this massive portside elevator to bring planes from the hangar to the flight deck. Notice the wood flooring, which the entire flight deck was once made of. During their downtime, rewmen often used the elevator for sporting events. Next, head up into the island, which was the command center for the entire ship. It housed a variety of radar and communication instruments at the top. Below that is the bridge, where the captain controls the ship. 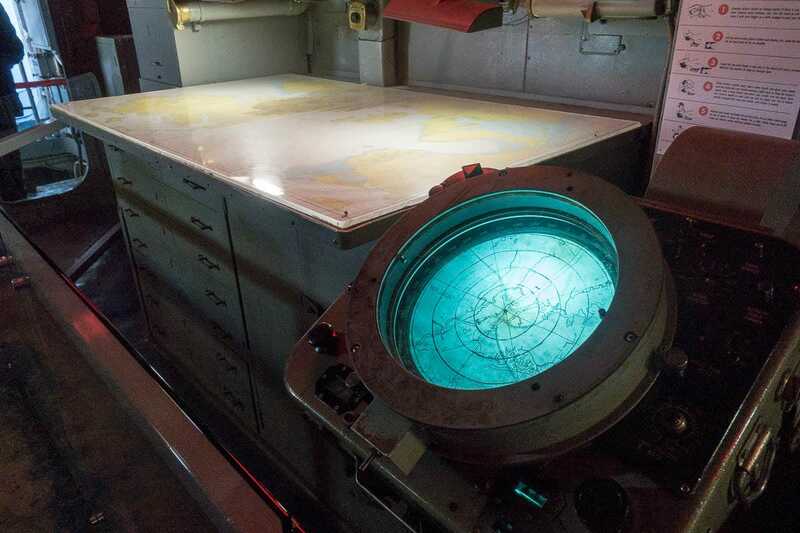 This is what the flight deck and the island looked like during World War II when the Intrepid was an “attack carrier.” After the war, the ship was reclassified for anti-submarine warfare, meaning it tracked Soviet submarines. Collection of the Intrepid Sea, Air & Space Museum; Gift of Jere Austin.Pilots talk on the flight deck of the USS Intrepid forward of the island during World War II. 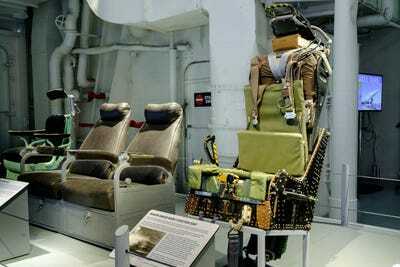 In the late 1960s, Intrepid became an attack carrier during the Vietnam War. But prior to that, it spent a lot of time trawling the Mediterranean for Soviet subs, according to Williams. 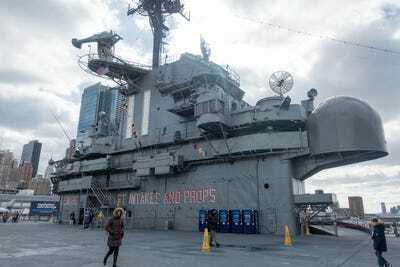 “If I had to pick a time to serve on the Intrepid, I’d pick the 1950s and 1960s … they spent a lot of time visiting ports and having a good time,” she said. Collection of the Intrepid Sea, Air & Space Museum; Gift of ADJ3 Samuel K. Taylor, U.S.S. 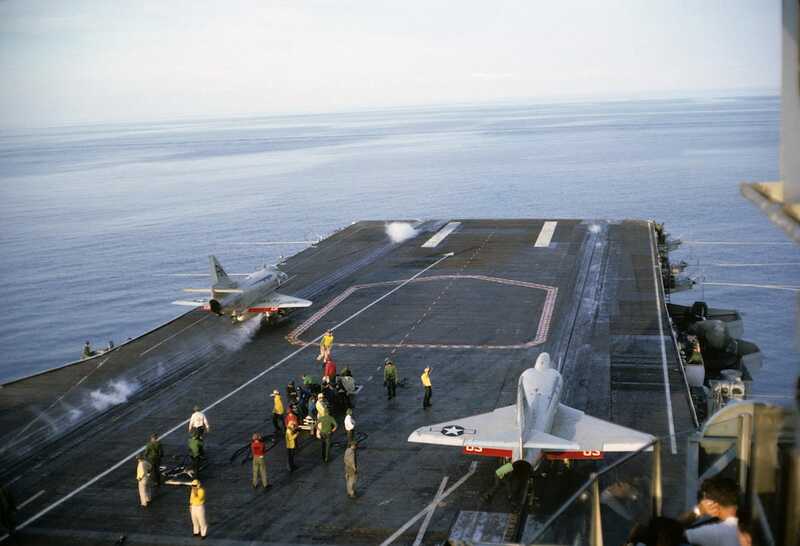 Intrepid, 1965-1967.Two Douglas A-4 Skyhawks prepare to be catapulted off of the flight deck of the USS Intrepid while at Yankee Station in 1966. The flight deck was a very loud environment so jobs were distinguished by individuals wearing different coloured shirts. 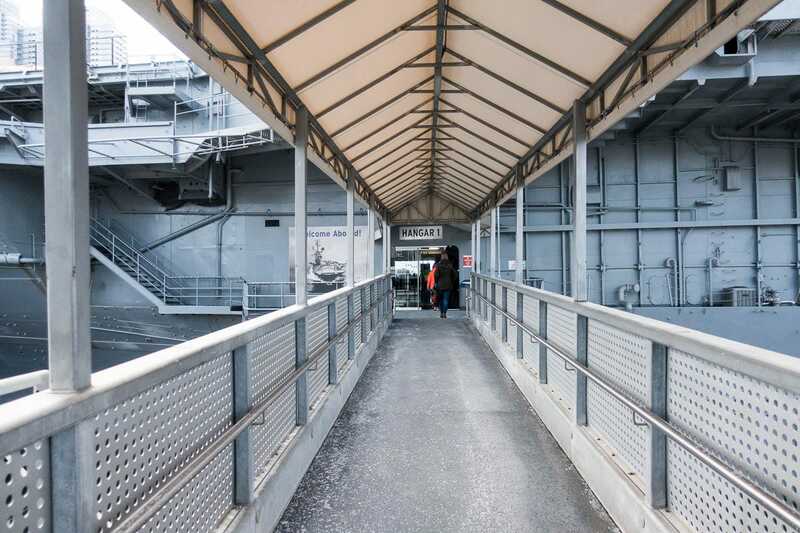 In addition to the captain’s bridge, the Intrepid also had a flag bridge where the admiral and his command planned movements. The Intrepid rarely travelled alone and was often the flagship of its group. The flight deck today has an enormous collection of restored aircraft from all different eras and makes. 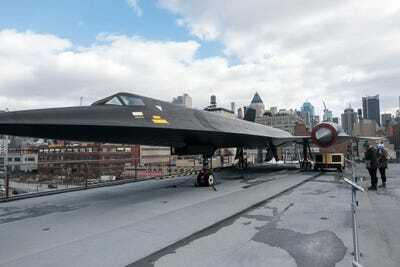 The collection includes a AV-8C Harrier jet, a F-16A Fighting Falcon, and even the A-12 Blackbird spy plane.